The Ivano-Frankivsk Museum of Art is located in the building of the former Roman-Catholic Church of the Immaculate Conception. It is the oldest architectural memorial of the city. It served as a burial-vault of the Pototskyi’s family, who were the founders of the Stanislaviv fortress. The exposition of the building presents two main ways of the sacral art development in Halychyna. There are icons of the 15th-19th centuries in the side naves of the church. They belong to the authentic Ukrainian tradition connected with the Eastern Church rites and with the art of Byzantium, Kyiv Rus and Halych-Volyn Princedom of the 12th -14th centuries. There are sculpture and wood carving exhibits of the 18th century (Baroque golden age in Halychyna) in the central part of the interior. Some restored sculptures decorated the church, which was built in 1703 – 1740. Plasticity and carvings, pictures of Polish, Czech and Austrian artists of the 18th -19th centuries represent the art traditions of the central European region. There are also exhibits of wood carvings, church clothes and printed liturgical books of the 17th -18th centuries published in the monastery printing houses in Lviv, Univ and Pochaiv. Old Halychyna used to be the crossover point of the religious and cultural traditions of different nations. The exposition introduces the history of our city and the art traditions of Halychyna region. The collection includes over 12 thousand works, namely: 2722 drawings; 947 paintings; 132 sculptures; 420 icons; 325 sacral sculptures; 91 old printed books; 6166 works of folk and decorative art. In 2005 a section of modern art was opened on the basis of the collection of works of the Ukrainian and foreign fine arts, which were presented during the International biennale “Impreza” (1989 -1997). Exposition name: “Sacral Art in Halychyna in 15th – 20th centuries“. There is a departmental library attached to the Museum (literature and albums of the history and the theory of the national and world art) and the section with manuscripts and archives (printed materials, publications, pictures devoted to the Ivano-Frankivsk Museum of Art (M. Zoriy, D. Ivantsev, etc. ); church archives, descriptions and pictures of architectural and historical memorials). Expert committee of the Museum is authorized to issue official certificates for the exported works of fine arts on the grounds of order # 647 since February 15, 2002 of the Ukrainian Ministry of Culture And Arts and the Law of Exportation and importation of cultural values. The valuation of the icons, pictures, sculptures and works of fine arts is performed in writing or orally. The building can be used for personal or group art exhibitions, choir performances, chamber and symphonic music concerts. The proposed showrooms are 52 sq m and 80 sq m in the Exposition building and 100 sq m in the administrative building of the Museum: 2, Nyzova Street. There is a branch of the Museum in Rohatyn town. It includes the wooden church of the Holy Spirit (the 16th century) with icon stand of 1650 and the exposition of sacral art of the 15th-19th centuries. The Museun also includes the Memorial Historical and Cultural Country House of Mykola Uhryn-Bezhrishnyi (1883 – 1960). He was a philosopher, pedagogue, literary man and artist. Archives, folk arts and ethnography of Opillya, sacral arts of Rohatyn district of the 17th-19th centuries, painting and drawings of Yulian Pankevych (1863 – 1933) and Volodymyr Balyas (1906 – 1980) are presented. The middle of the 17th century, wood, tempera, 85×61. 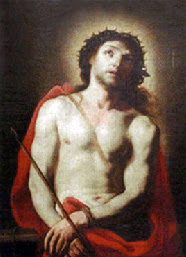 The icon is an example of the best memorials of the early baroque style in the collection. 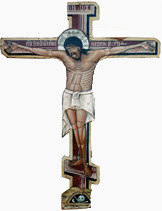 The picture prototype is the theme of “Imago pietatis” – the figure of suffering Christ with the crown of thorns on his head, which had been formed in the European Gothic art in the 15th century. Later it was expressed in the drawings and paintings of L. Kranakh, A. Dyurer, Dz. Skolari and M. Karavadzho. 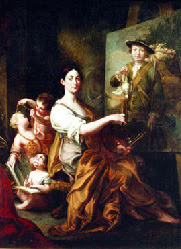 The plastics of the original and the painting techniques of the 17the century were preserved. Together with the “Alehoriya Skulptury” this composition was painted in classicism style by I. Untenberger. It is a rare example of the Austrian paintings in Ukraine. The middle of the 17th century, wood, tempera, 99×61. Laconic and monumental composition of the icon is created on the principle of the Baroque skewness. The style resembles the works of icon painters in the Rohatyn Church of the Holy Spirit (1650). 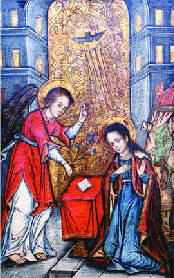 It is an example of the development of the Halych icon painting school (early baroque style). The middle of the 16th century, wood, 111×86. It is a rare example of the traditional icon painting. The second half of the 17th century, wood, tempera, 62,5×43,5. 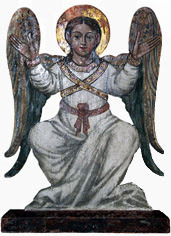 The angels wear snow-white shirt, bounded with golden ribbons and with red belt. They sometimes keep khrysma (“God’s seal”) in their hands with the initials of Christ and a gold rod. This theme was expressed in 17th century in the works of I. Rutkovych and Y. Kondzelevych. An ideal angel image with sincere gaze was created. The figure shape is graceful and laconic.